I got Christina Aguilera’s sophomore album ‘Stripped’ as a Christmas exchange gift present in high school. I went home right away and devoured to the unpredictable mood, lyrics that were mostly penned by Christina and wonderful melody. For me, it still remains to be the best music album ever. Ah, the struggling but beautiful days of the cassette tape. Can you imagine singing ‘Dirrty’ for a school program? We did it and I’m happy the moments I embraced my inner Xtina wasn’t recorded on video or else.. I admit that I didn’t really pay attention to her ‘Back to Basics’ album. Its either I wasn’t able to find a copy in the province or I just lost interest with the sudden switch of genre. I also embraced ‘Bionic’ quite late but I embraced the ‘Lotus’ era. I’m not sure if motherhood played a major role on why she is not as competitive as before (like in Geri Halliwell of Spice Girls). Whatever it is, I guess the fans need to accept that. At least she’s still making good music with no pressure of getting hit singles or compromising her vision. Anyway, for those who are curious, here are some of the songs Christina Aguilera released as singles from this album: Accelerate, Fall in Line, Twice and Like I Do. ACCELERATE: I admit that the first time I heard, I didn’t really like it. I was confused especially with the music video. Mama Xtina, do you really have to lick that milk that way? Haven’t you learned from ‘Not Myself Tonight’ music video? But after playing it three times, I got addicted. It was my LSS for a month and I even made a dance routine at home. It’s a shame that the song is not as popular as it should be. I want to dance in the clubs with the songs. FALL IN LINE: What happens when two talented divas collaborate on a single? Powerful! But for some reason, the Christina Aguilera-Demi Lovato collaboration didn’t really reach its potential. Was it because of the music awards performance that was underwhelming for the not-so-loyal fans or is it because it wasn’t promoted well? 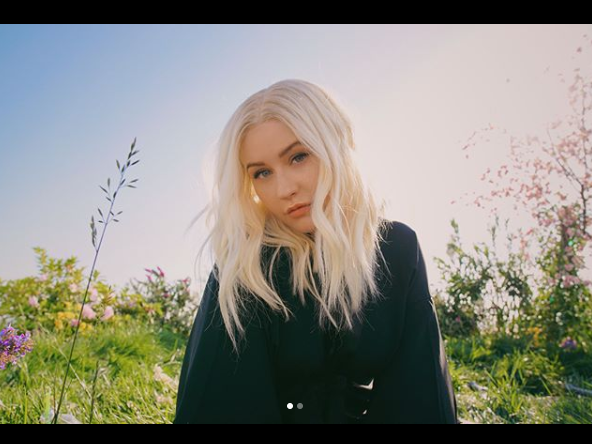 I am not a big Demi Lovato fan, but I knew that Christina Aguilera was one of her inspirations before she became that big popstar. This feminist anthem is nominated for a Grammy and yes, please spread this music video! TWICE – Miss Christina Aguilera’s ballads? Twice is a reflective song where she contemplates about her past hardships in life. This is a simple song that showcases Christina’s raw talent. I just discovered as I type this that the Like I Do is nominated for the Best Rap/Sung Performance at the 61st Annual Grammy Awards! I would love to see the two perform this song live. I think this is the sexiest song of 2018 that I’ve heard. If I were to select which singles I’d release from Christina’s album, I’d choose Unless It’s With You, Deserve and Pipe. Are you a fan of Christina Aguilera? What are your favorite Christina Aguilera songs?